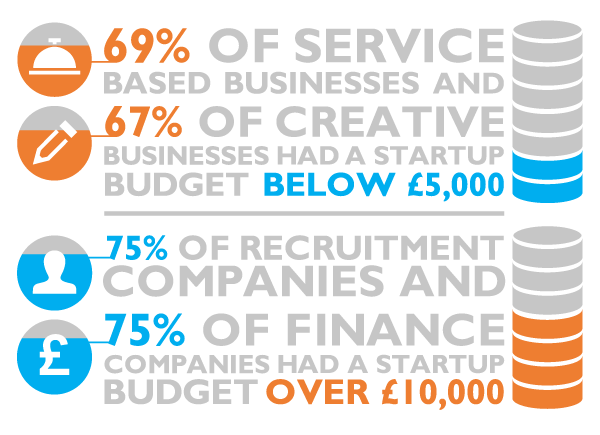 This report looks at the awareness and use of different sources of funding among early stage startups. While there is a lot of press coverage around funding problems for startups, and the rise of alternative funding sources, little research has been done on how real startups are actually being funded. Our research was conducted among new startups who had performed a company formation or sole trader business registration within the last 18 months. We asked them about their startup budgets, the funding sources they were aware of and the ones that actually used. We also asked them to pass on their advice on startup funding to other budding entrepreneurs. Our study shows that there is good awareness of different funding sources amongst new statups but very little usage of them. Instead the vast majority of startups we spoke to actively avoided taking outside funding and advised others to do the same. Instead they preferred to Bootstrap First. This study looks specifically at The Company Warehouse's client base of new startup businesses. They are typically businesses who have done a company formation new business registration with The Company Warehouse within the last 18 months. Most are first time entrepreneurs launching their first startup venture. These new businesses come from a range of industries, many of them are not tech based startups but are launching more traditional businesses in sectors such as construction, recruitment, retail or healthcare. Promote your new business online with a 3 month focussed digital marketing package including Site Optimisation, Content Writing , Social Media, PPC and analytics for a flat one off cost.